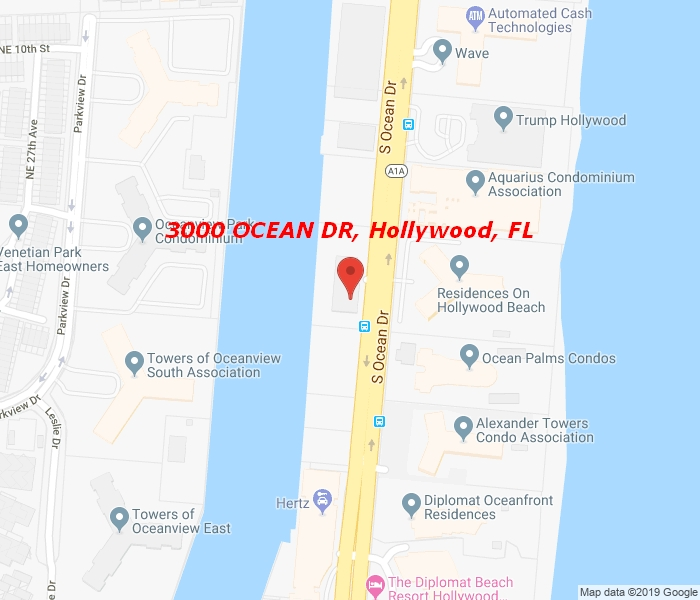 Beautifully renovated 1 bed 1 bath condo in oceanfront building of Hollywood Beach with Intracoastal views. Euro-style kitchen, ceramic tiling flooring throughout, floor to ceiling hurricane proof sliding glass doors leading to balcony. 24 hour security and valet service. Amenities include gym, clubhouse, sauna, steam, outdoor jacuzzi tub, cabana baths, tiki bar, ocean access, convenient store. No Pets. Onsite Management Company. Valet or self park with up to 2 parking spaces. Great location on A1A in between Hollywood Blvd and Hallandale Beach Blvd. Live on the Beach -convenient store open 7 days a week from 8am – 10pm serving meals. Gorgeous pool area – right on the ocean – easy beach access.